With an XA class loco in front (see earlier post). The passenger cars dated from 1947 and lasted until new railcars were introduced for this 167 km service south to Bunbury in 1987. 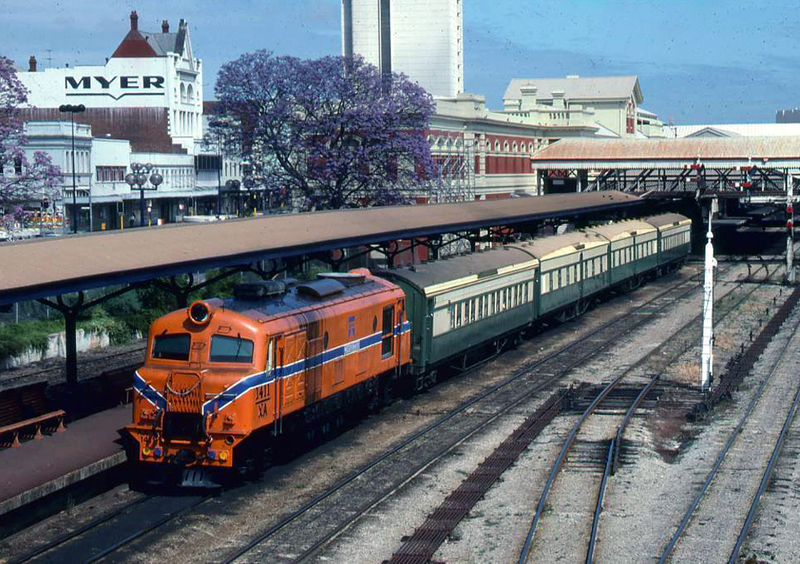 This scene has also changed because of the redevelopment of Perth city station in the late 1980s including covered platforms.